The ecommerce foundation launched the Latin America ecommerce Report 2018 on September 6th which highlighted the continent’s position as one of the top regions in the world for ecommerce growth. One of the reasons behind this growth is both the increased population and the higher rate of internet penetration across the continent, with an average of 59 percent of the population using the internet. Argentina is at the top of the leaderboard in this area, with 71 percent of Argentines connecting to the world wide web on a regular basis, followed by Chile, Uruguay and Costa Rica tying for second place with 66 percent, and Ecuador lagging behind with 54 percent. Mexico boasts a place as the largest ecommerce market in Latin America, with a US$21 billion annual spend, making up a hefty chunk of the US$71.2 billion annual total for the region. Brazil isn’t too far behind with US$18.86, but Argentina, Colombia, Chile and Peru are the stragglers with US$6.83, US$4.93, US$3.7 and US$3 billion respectively. When looking at where the burgeoning online consumers cohort spend their money, a common theme develops across the continent. MercadoLibre (MercadoLivre in Brazil) is without doubt the dominating platform for online commerce. The ecommerce giant had 56.3 million unique visitors in May alone, with global powerhouse Amazon trailing behind at 22.4 million. MercadoLibre’s stronghold on Latin America has made it extremely difficult for Amazon to get a grip on the online market. Only Chile bucks the trend, with yapo.cl taking the lead above MercadoLibre as the country’s most used ecommerce platform. For the remaining countries however, MercadoLibre invariably takes the top spot followed by either Amazon or Olx. 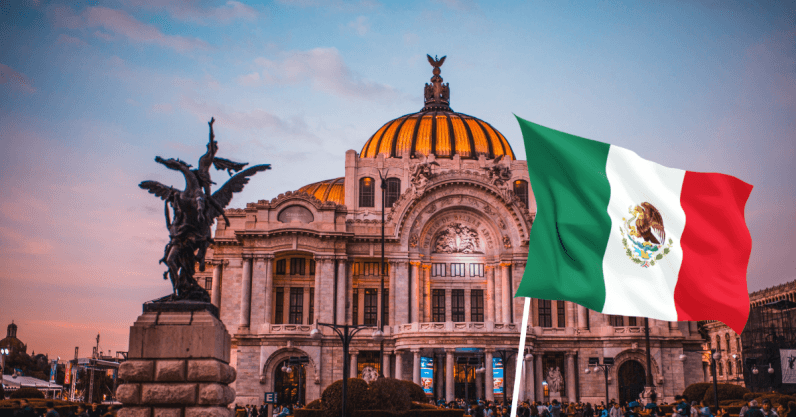 Mexico already has the highest annual earnings from ecommerce in the region, and this is expected to grow in response to improvements in connectivity, better financial inclusions and increased digital literacy. Ecommerce is encouraged through retail events that offer special promotions, such as Hot Sale Event, which is similar to Black Friday in the US and offers reduced prices on clothing and electronics, the two top-selling online products in the country. MercadoLibre and Amazon are the top online sellers, and the majority of Mexican e-shoppers make international purchases and perhaps as a response to this, 70 percent of online shoppers prefer to pay for their products via Paypal. As Latin American countries continue to develop their technology at a phenomenal rate, ecommerce is only set to grow as the population takes advantage of the increased convenience and lower prices. As Amazon shoulders its way onto the continent however, it remains to be seen whether MercadoLibre will hold out against the global powerhouse. This article was originally published on Aztec Reports by Frances Jenner, you can read the original article here.